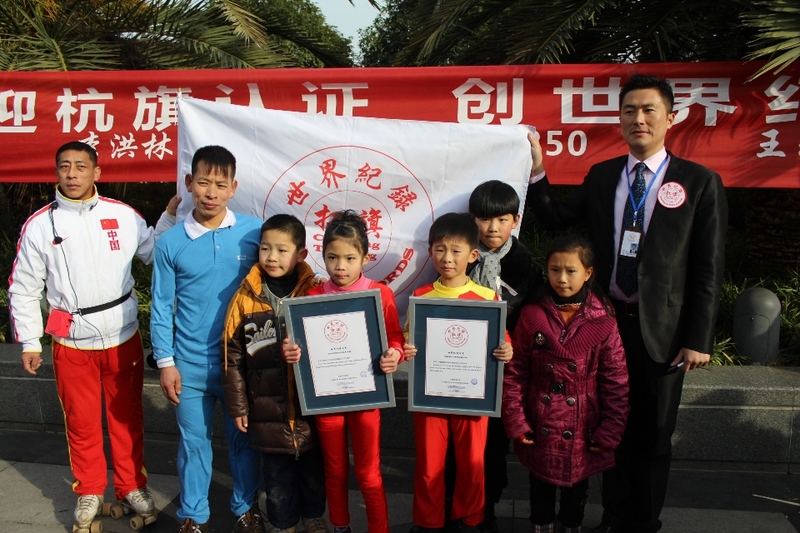 World Record Title : The world is too low pulley lever leg farthest person is Li Honglin . 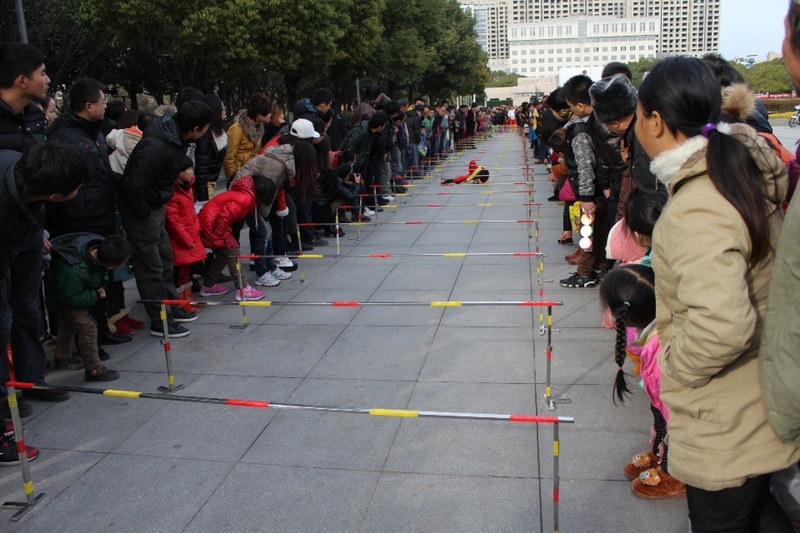 World Record Rules: one , the world is too low pulley lever leg farthest . 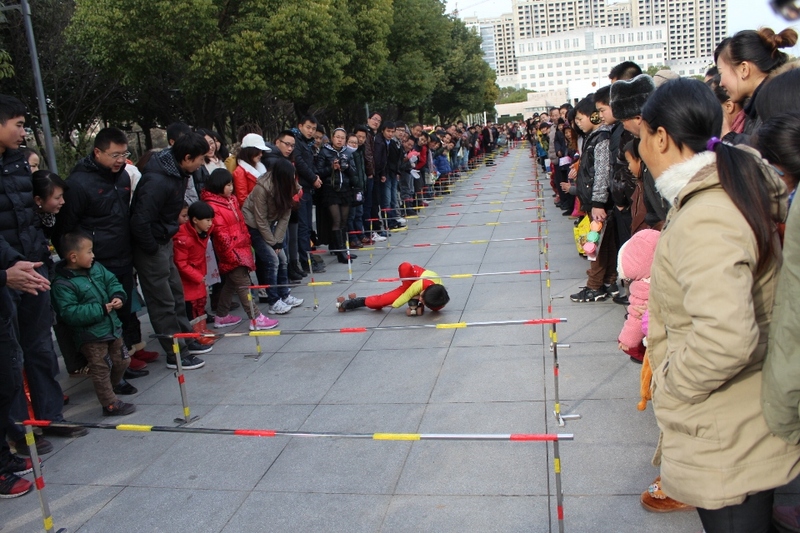 2 , the rod height 0.49 m , width 1.9 m 3, the sliding distance 43.2 m . Current world record holder is the creator and Li Honglin . 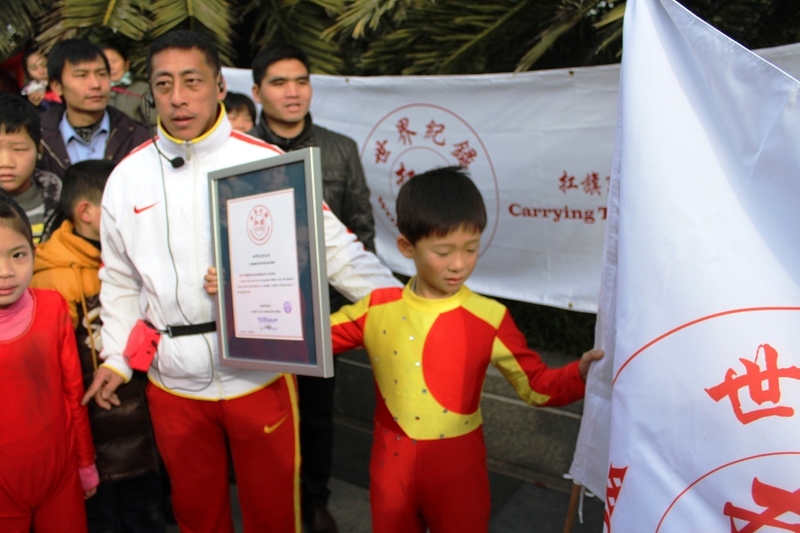 Creator of the world on one leg pulley drilled a low rod distance world record for the farthest is Li Honglin. 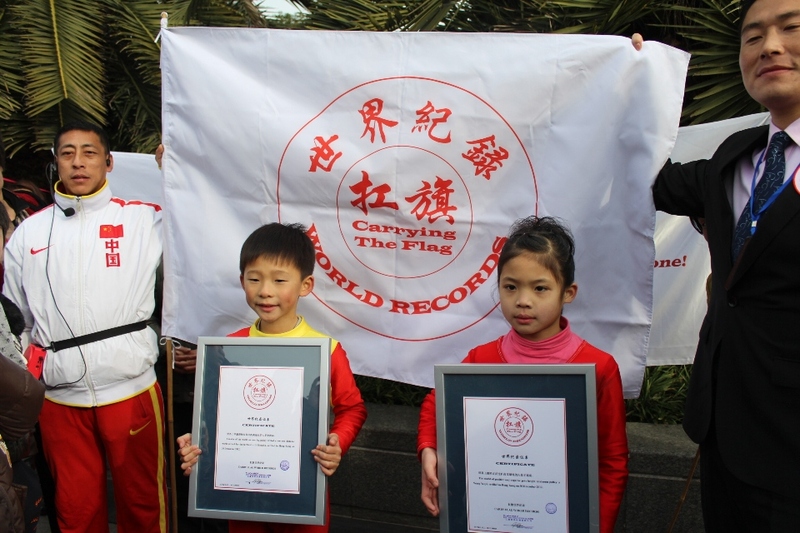 verified in Hong Kong on 30 December 2012.